So I thought I would start doing Tv Tuesday and Film Friday where I give you a review of what I have seen that week. 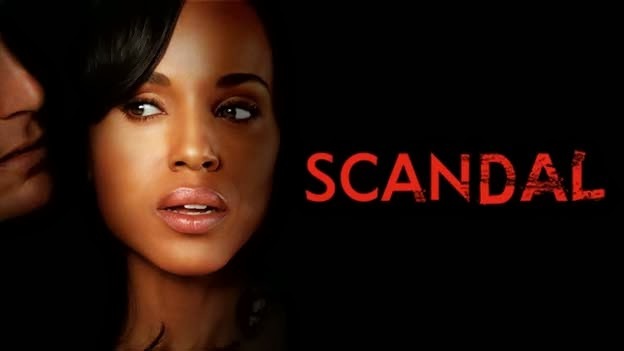 This week is all about Scandal!!! I have to say this is by far one of my favorite shows and I only started watching this month. What ended up happening was I ran out of my “normal” shows and was desperate for something, I had been avoiding Scandal because I thought it was another Law & Order type show, which I was like “Been there done that”. I finally got it on iTunes because there was nothing else and after the first 10 minutes I was so hooked, Don and I stayed up and watched the entire first season in 1 night!!! After that we moved on to the second and once again in one night watched the whole thing. After finding out that Season 3 was on hiatus until February 29th we decided to take season 3 slow and only do 2-3 episodes a night so we could make it to the 29th. Well I have 4 more days until this show comes back and I am dying for more. What Tv Show have you watched most this week? A woman named Olivia Pope, she works in Washington DC and her company helps clean up the messes politicians get them selves into. She also worked on the campaign to elect the president. The drama and intrigue, this show is written by Shonda Rhimes (Grey’s Anatomy), and boy did she deliver on this one. Her style of writing has always been very dramatic and lovesick at the same time and this show is no different. I’m over the love triangle they have been playing that since season 1 and it’s like “it’s been three years he’s not leaving his wife for you…move on” (thats what I yell at the tv while watching this lol. Previous Post I AM So SORE!!! !